That awkward moment you realize that toddlers may be onto something. 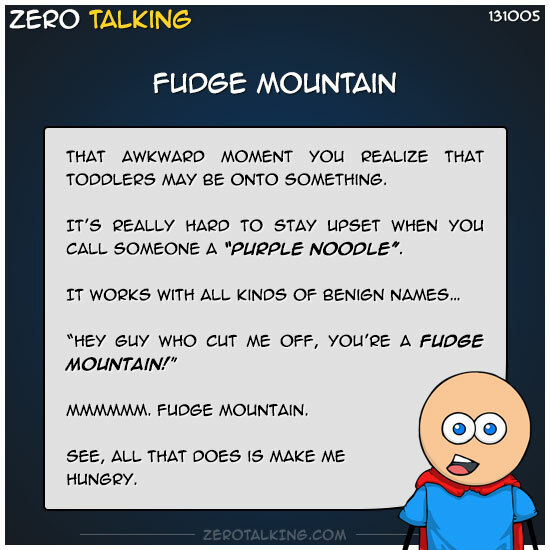 It’s really hard to stay upset when you call someone a purple noodle. *So yeah, name calling isn’t nice, but if you absolutely must, try to think of the funniest most benign thing you can say, say it, think about it, and then see if you can stay upset. And if you can avoid actually saying it to anyone but yourself, try that.